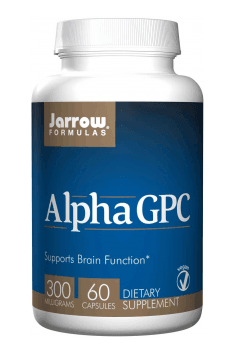 Alpha GPC 300mg 60 caps. Take 1 capsule 1-2 times a day with food or as directed by a healthcare professional. A supplement with procognitive properties. As a preventive measure, take 1 capsule daily. It should be preferably taken with a meal. The dosage can be increased to 2 capsules daily during intensive intellectual effort or noticeable deterioration of memory and mental performance. General support for your thyroid and endocrine system in the most bioavailable form on the market.